“For you created my inmost being; you knit me together in my mother's womb. I praise you because I am fearfully and wonderfully made; your works are wonderful, I know that full well. My frame was not hidden from you when I was made in the secret place. When I was woven together in the depths of the earth, your eyes saw my unformed body." Terri Kellogg is a loving wife, an inspirational speaker, an emergency room RN, and, of course, Hope's mother. Terri has served on Care Net Pregnancy Center’s Board of Directors and volunteered as a counselor. 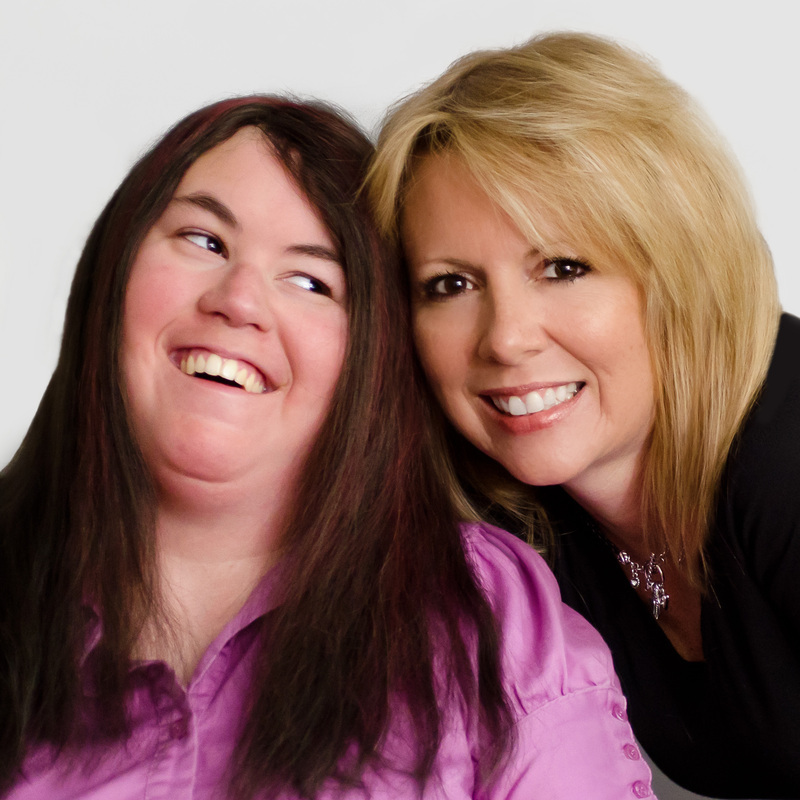 Both Terri and Hope have been inspiring audiences for twenty-one years. Their desire is for people to see that God loves them deeply and that all life is precious. Their message reveals God’s faithfulness and leaves listeners knowing God has a future and a hope for them. They live in Palm City, Florida. ~We would love to speak to your women's group, fundraiser banquet, high school or church group on any one of several subjects including abortion, adoption, disability, care-giving, faith and prayer. For more information please, contact us. intervened to protect the life of a very special little girl and is using her today to share the incredible love of Jesus with anyone who will listen. 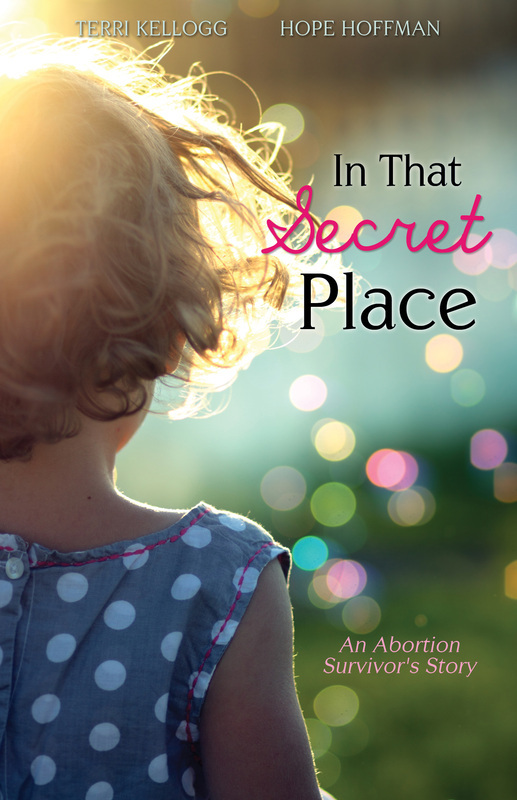 In That Secret Place, the story of Hope Hoffman's amazing survival, is an unforgettable one that will touch your heart-proving once again the power of God who can take a tragic and heartbreaking situation and redeem it for His glory. If you need proof that miracles still happen, this is it! "In That Secret Place is a story of astounding hope and grace. If you are struggling with a past you cannot change this will provide you with a peace you cannot comprehend." Steve Arterburn, Author, Speaker, Counselor, Radio talk-show host of New Life Live, and founder of New Life Ministries and Women of Faith. a place of happiness. Anyone doubting this need look no further than watching Hope ‘dancing’ in her wheelchair to praise music.” Sue Chess, Executive Director of Care Net Pregnancy Services of the Treasure Coast.